Everyone wants a green, flourishing lawn; however, one needs to have basic knowledge on how to keep a lawn healthy. It’s essential to follow proper lawn care procedure so that it continues to flourish throughout the year. In most regions, maintaining a healthy lawn during the summers largely depends on watering practices. In order to appropriately maintain your lawn, you need to sharpen your irrigation skills and also learn how you can prevent brown patches from cropping up. During the summer, your lawn can get excessively dry without the right amount of water or due to bad watering technique. 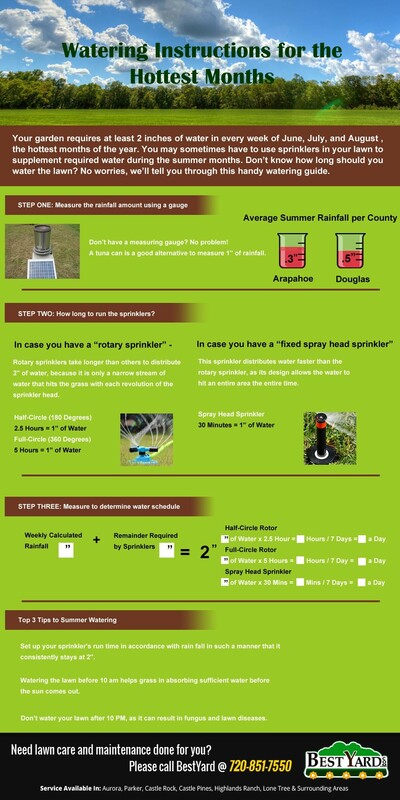 Take help of the following information on how much water is required by your lawn and the right time to water the lawn. These days, sprinklers are widely used to water gardens, as they ensure the water is dispensed equally to the entire lawn. You should either use a rotary sprinkler or a fixed spray head sprinkler instead of a standard plastic pipe to water your lawn.